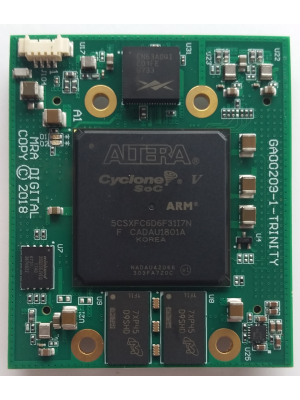 The Cyclone 5 SoC OLED is the most powerful and smallest SoM available to date on the market. It features the largest Intel 5CSXFC6D6F31I7N cyclone 5 SoC on a PCB that measures 66 x 56 mm. 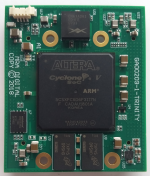 In addition, it’s the only Cyclone 5 SoM that includes 1GB 32bit DDR3 of memory on the FPGA fabric and 1,2,4 or 8 GB of 40bit DDR3 memory on the HPS fabric (via memory expansion board). The C5SoC-SoM-Processor is a complete video processing system designed to meet the needs of most mission critical applications that requires real-time video processing with multiple video inputs and output channels operating simultaneously. Designers can leverage our in-house designed FPGA IP cores to enhance their application capabilities to reduce risk and the time-to-market window. 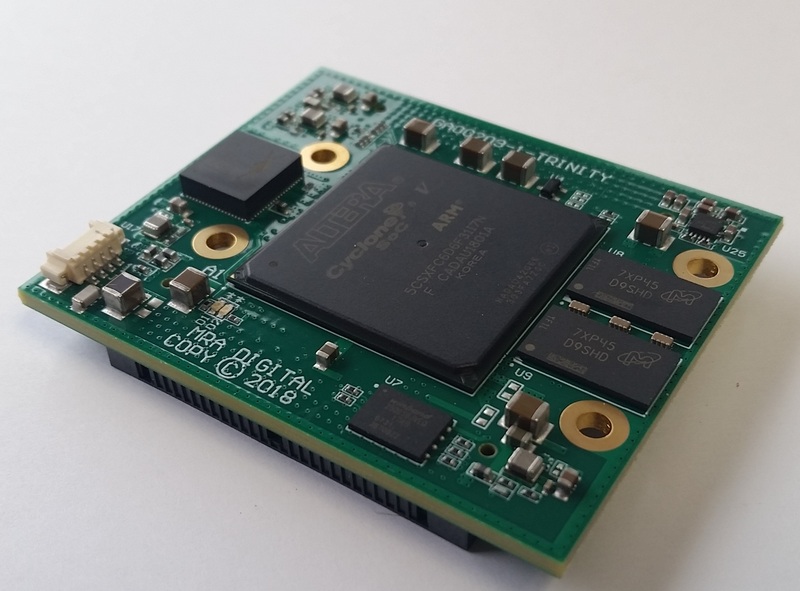 With a size smaller than a credit card (66 x 56 mm) and low power consumption, the C5SoC-SoM-Processor is well suited for space limited applications.